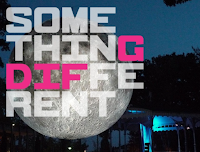 Greenwich + Docklands International Festival opens this Friday, 23rd June, 6pm. 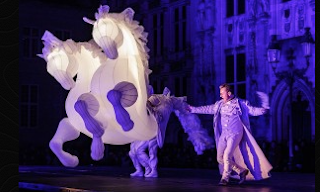 At 10pm in Cutty Sark gardens, there'll be a team of illuminated white horses (pictured) from Compagnie des Quidams. 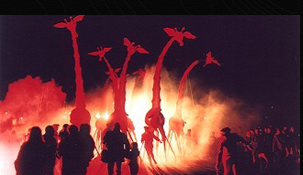 All over the weekend of 23rd/24th/25th in central Greenwich there'll be outdoor theatre, art, circus, games. Greenwich town centre (car free on Sunday).